DISCLAIMER: This article has been rendered obsolete due to the new tax reform (2018). To learn more about this, please read our blog post on the new tax reform bill. We’ve previously explored how equity options work at startups, today we’re taking a deeper dive into certain tax pitfalls to watch out for when exercising your options. Although incentive stock options (ISOs) are generally more tax friendly than non-qualifying or non-statutory options (NSOs), ISOs can pose Alternative Minimum Tax (AMT) traps and lead to unforeseen tax hiccups. 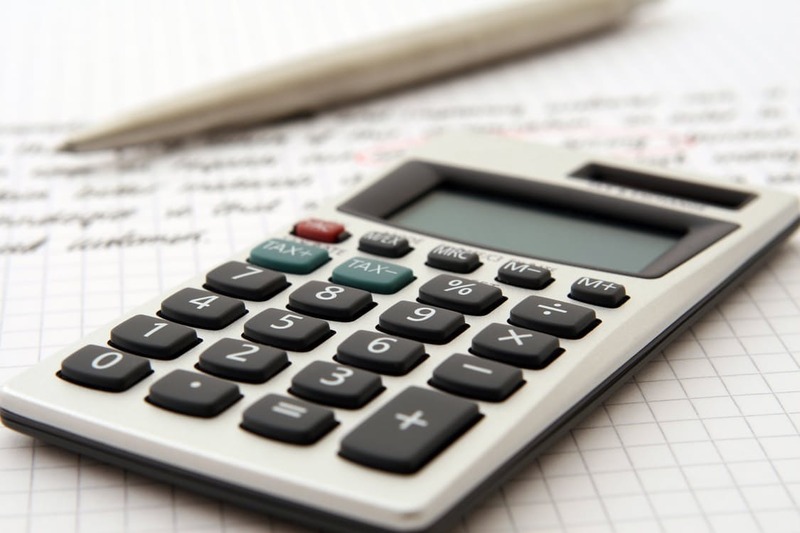 The Alternative Minimum Tax (AMT) is a parallel tax system that requires certain people to pay more taxes than their just regular income tax. Although the AMT was intended to prevent those in very high income tax brackets from using special tax benefits to pay little or no tax, the AMT has creeped up and expanded its reach to apply to taxpayers who don't have super high income or claim special tax benefits. How do I know if I am AMT Taxpayer? This is the trickiest part to figure out. But chances are if you are an AMT taxpayer you know it because you have either been an AMT taxpayer or very close to it in the past. The easiest way to think about this is that if your income hovers around $52,800, or $82,100 for married people filing jointly, in 2014 you should run your AMT calculations to see if you fall into AMT land. Note: These thresholds are revised annually. Basically, what taxpayers (or their accountants) have to figure out is whether the regular tax is higher than the AMT amount and then the taxpayer pays the higher of the two amounts. To calculate AMT, the taxpayer has to add back certain income streams and remove certain deductions. One of those add-backs is the amount taxpayers have to include when they exercise (but not sell) their ISOs. There are a few potential traps. First, you might be pushed into the AMT regime when you exercise your ISO. Exercising your ISO can push you into AMT if the stock price of your company's shares appreciates significantly before (rather than after) exercise. The spread between the exercise price and the value of the stock would be lumped into the AMT calculations. Although the thresholds are generally for people who make over $50k, a taxpayer can trigger AMT exposure because one large addition on his return can nudge the taxpayer just over the edge into AMT land. This would be a nuisance because now the taxpayer would have to re-calculate his taxes for AMT purposes (e.g., adding back certain income streams like ISO income, tax-exempt bond interest, etc and minimizing certain deductions like home mortgage interest deductions, medical expenses, misc deductions, etc) and file the AMT Form 6251. In addition, the taxpayer may also have to come up with the cash to pay his AMT! In essence, the taxpayer becomes liable to pay taxes for income that he hasn’t yet fully realized (i.e., the taxpayer received the stocks, but hasn’t received the cash to pay the taxes due). Let’s say on exercise date, Taxpayer’s (Bob) strike price is $5, the FMV $8 and Bob has 1,000 options. Bob’s total exercise price is $5,000 and he may have to pay AMT on the difference between the FMV and his strike price, which is $3,000 ($8 x 1,000 shares - $5 x 1,000 shares). He may have exercised his ISO merely to start his capital gains time clock ticking but inadvertently he may have triggered an AMT exposure AND he will have to come up with the cash to cover it. You can see how problematic this can become when you're working for a company that's doing really well and you wait many years before exercising your options (the difference between your exercise price and the FMV of the shares at the time of exercise will be great). The second trap is most likely to occur in a volatile market. To understand this, let’s continue with Bob, who exercised his ISO at a time when the stock price was high. Let’s say the value of his company starts to drop so he chooses to sell his shares at $3/share. Bob will have made no economic profit in the sale since he paid $5/share and sold for $3/share, BUT on exercise date he already paid AMT on the $5,000 when he exercised his ISO. This AMT he paid upon exercise would generate an AMT credit he can carryforward, but if his regular tax never exceeds his AMT in later years, he may not be able to actually use this AMT credit he earned. If his stock had continued to appreciate, he may have been able to soak up his AMT credit. Long story short, Bob paid taxes on income that he never recognized and may never get credit for those taxes he paid. Exercise early! The stock may be worth less so the difference between the FMV of the stock and the exercise price will be smaller, thus less AMT. Added benefit: this will get the capital gains time clock ticking ASAP. Exercise the ISO earlier in the year and sell the shares later in the year. Any gain you have from exercising and selling the shares would be taxed as regular ordinary income. You could have ordinary income taxable from this sale but at least you wouldn’t have the AMT/ISO issue and you would have cash to pay for any AMT liabilities you owe! Or you can opt to just sell a few shares to generate enough cash to buy the ISOs and pay any tax liabilities and keep the remaining shares as (unexercised) ISOs. This wouldn’t avoid the AMT trap but at least you have cash to pay for your shares and your AMT taxes. Be prepared to fall into the AMT if you wait to exercise your options. If you exercise the ISOs but do not sell them until a few tax years later, although the spread on the exercised options would fall into the AMT bucket, the rest of the gain could likely be taxed as capital gains and you may be able to soak up some of the AMT credit carryforwards to be used later (again AMT carryforwards are beyond the scope of this post). Which option is the best? None of these are quick fixes. It depends on the current and future value of the underlying stock, your overall financial status (e.g., are you an AMT payer anyway?) and your general cash flow situation. Bottom line: If your ISO is in-the-money consult your tax advisor first (particularly in a volatile market!) so that you are prepared to tackle these ISO/AMT pitfalls. IRS Circular 230 Disclosure: To ensure compliance with requirements imposed by the IRS in Circular 230, we inform you that any tax advice contained in this communication (including any attachment that does not explicitly state otherwise) is not intended or written to be used, and cannot be used, for the purpose of (i) avoiding penalties under the Internal Revenue Code or (ii) promoting, marketing or recommending to another party any transaction or matter addressed herein.